As a psychotherapist, she utilizes a wide range of approaches to meet the needs and goals of each person, including gestalt, art therapy, critical incident debriefing, analytic, and psychodynamic. As a psychoanalyst, Dr. Kopstein offers in-depth, longer-term analysis to discover and explore patterns that influence attitude and behavior, as well as highlight the individual’s strengths and goals. Dr. Kopstein provides eTherapy sessions to match your schedule, in any time zone in the world, from your home, office, or overseas. She specializes in mid-profession and mid-life issues, social anxiety, depression, relocation adjustment difficulties, eating disorders and relationship issues, as well as self-identity and self-esteem problems. Since 2008, Dr. Kopstein has provided expert eTherapy services, following strict confidential and ethical international guidelines. After completing studies and practicums in psychology, Dr. Kopstein extended her post-graduate and post-doctoral studies in Switzerland, Israel, and the USA, specializing in Jungian analysis, art therapy, mid-profession/mid-life challenges, and Third Culture. 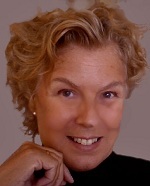 Having worked in the field of psychotherapy since 1978, Patti is experienced and versatile. She has lived in five countries as an adult, and has personally experienced the challenges of cross-cultural (Third Culture) and multi-faith challenges. She has lived and practiced psychotherapy and psychoanalysis in the USA, Israel, New Zealand, Australia, and Hong Kong.